IT has become far more than just another tool for modern businesses. Rather, the growth of digital services, the internet of things and sheer necessity have led most companies to rely on IT in some form or another. With IT permeating most sectors of a business, however, there is a great deal that can go wrong. COBIT 5 is an IT governance and management framework which links key IT processes and enablers. It is designed to be used by business, IT and assurance professionals, regardless of their technical background. This clarity and ease of use allows COBIT users to successfully link business and IT goals, all while accurately measuring their progress with precise metrics. In this video, Mike from Good e-Learning takes a look at the reasons why so many businesses are using the COBIT 5 framework, as well as the consequences of avoiding COBIT. Good e-Learning is a leading provider of online training courses. Doing away with the endless Powerpoint slides of our competitors, we focus on delivering engaging learning experiences. Not only do we utilize a variety of tools, including interactive videos, gamified quizzes and practice exams, but we also make our courses accessible even on phones and tablets. 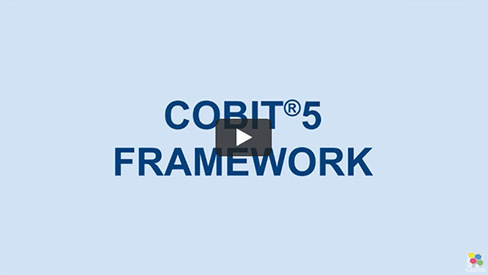 The Good e-Learning COBIT 5 Foundation course offers an excellent introduction to the COBIT framework. Meanwhile, the COBIT 5 Foundation & GDPR Implementation Suite can upskill students in both COBIT 5 and GDPR, an ideal combination for ensuring that a business is fully GDPR-compliant. Students can utilize 24/7 tutor support, as well as FREE vouchers for when they are ready to sit the official COBIT 5 examination. In addition to our off the shelf IT governance and compliance courses, we can also create bespoke training packages designed specifically for your training goals and KPIs.